Many of our customers have questions about Chimneys, Chimney Maintenance, and much more. Below, we’ve listed a few of the questions we hear the most. When Should I have my Chimney Cleaned? How Often?? Our recommendations are similar to the NFPA. (National Fire Protection Agency). Our experience has shown that a yearly inspection and cleaning if necessary is adequate for moct CT homeowners. With that said, the amount of use also plays a factor. Another helpful guideling is to have your fireplace cleaned after burning a cord of wood. Do I Have to Clean my Chimney? Yes! Cleaning your Chimney is an important part of keeping your home in working order. If you have an Oil Furnace Chimney, your Chimney may be producing an unpleasant by-product known as Oil-Soot. This is something that you should definitely take care of annually. Regular wood burning furnaces also pose numerous hazards to your home from blockages, obstructions, Indoor air pollution and Kreosote. Is Chimney Cleaning Expensive? How Much is it? We charge only $89 for additional chimney flues done on spot. Our Team here at Safeside use custom flexible chimney rods with wire brushes attached to them. With these tools, we remove and sweep out the interior chimney liner system. By doing this, the soot and creosote is safely removed from the walls of your chimney. For fireplaces , we vacuum the area known as the smokeshelf and also clean out behind the damper. We pay special attention to create no mess for you or your home! Each of our Chimney Sweeps are also warranteed for 30 days. We will re-service at no charge. Will Safeside Repair My Chimney? 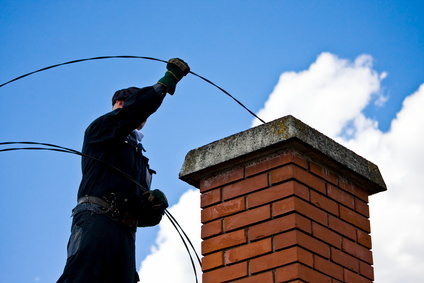 Yes, any job related to your Chimney can be handled by our team of Professionals. Whether it’s Masonry repairs or relining, we’ve got you covered! What about Chimney Caps? Do you Install them? We install Stainless Steel Caps which are lifetime guaranteed. This is a one time installation. A cap will keep out animals , leaves , twigs , and most of all rain. Rain does most of the damage to chimneys by getting into cracks , freezing during the winter , and pushing at the masonry causing serious damage. A single flue cap chimney cap is generally Installed at about $125-$175. Custom caps that cover more than one chimney flue opening typically start at $289 Installed. Why Should we Choose Safeside Chimney? Because that is exactly what we are, Professionals. Chimney sweeping is a very straightforward and simple maintenance process but there are other aspects of chimney venting that are much more technical, and training is needed to provide accurate safety reports for a home. 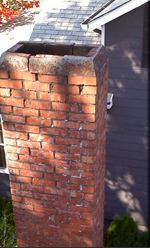 We also perform chimney repair and restoration. Our masons and installers take great pride in their work and have many years experience in the field. We have been doing this for over 15 years, in that time we have developed a successful business system and standard operating procedures to perform the job, the right way, every time. Our office is open from 8AM to 8PM to answer your questions or satisfy your needs. Kevin, Dale or Tim are in the office at all times during these hours and are fully trained and knowledgeable in all aspects of chimney and duct maintenance. We do not have an answering service that just takes messages. We believe in IMMEDIATE RESPONSE as stated in all of our Yellow Page ads. We are members of the The National Chimney Sweep Guild. You will see us at all the Home shows in Connecticut and welcome you to stop by our booth for a visit.